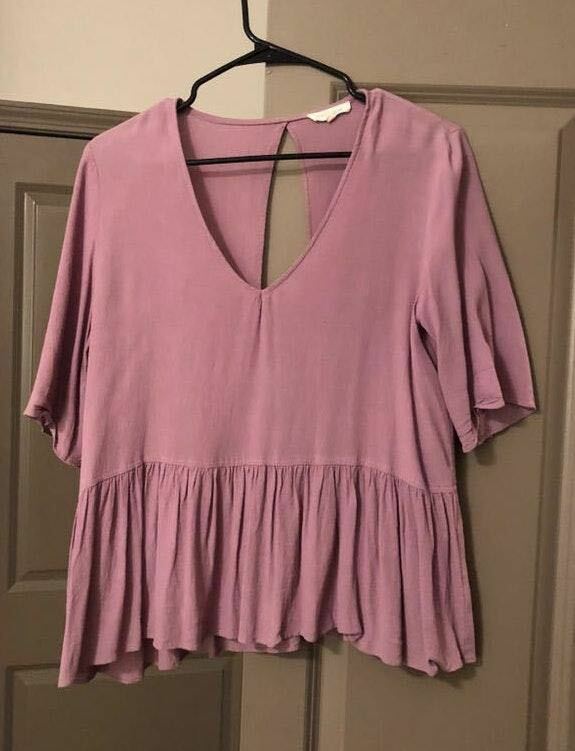 Very flattering flow-y top in a purple/lavender color. Has a sort of slit in the back for a cute detail. Top is in good condition.